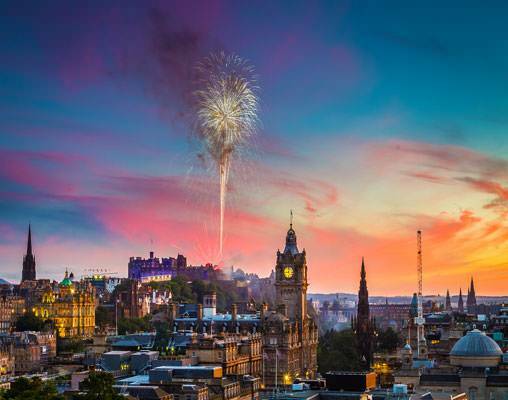 Be swept away by the grandeur of London and northern beauty of Edinburgh on this 7-day tour of the United Kingdom’s most magical cities. Explore the jewels of the British Isles in comfort and style on this perfectly curated tour. 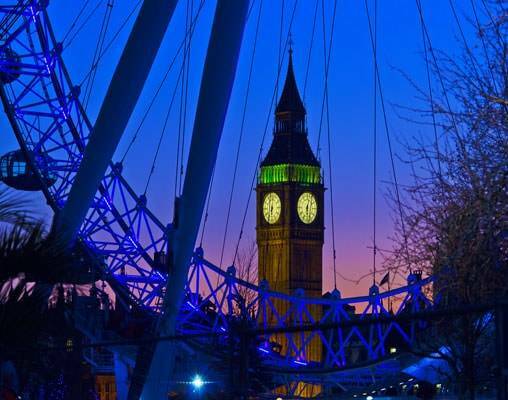 Begin your journey in London, the world-class capital of the United Kingdom. London is a thriving, thrilling city that exists at the intersection of England’s glorious past and its promising future. 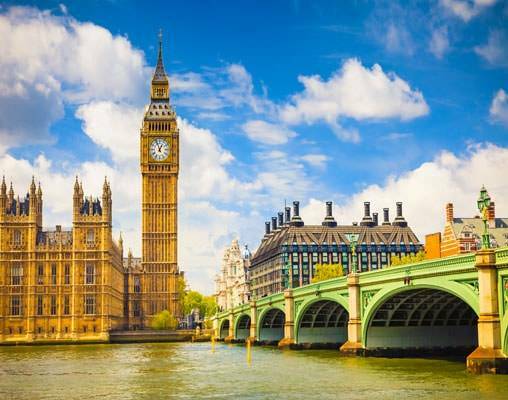 Visit the city's famous landmarks, walk in the shadow of the Houses of Parliament, and feel the vibration as Big Ben rings the hour. Sample London’s many neighborhoods and delight in the city’s complexity. Then, take the train north to enchanting Edinburgh, the capital of Scotland. 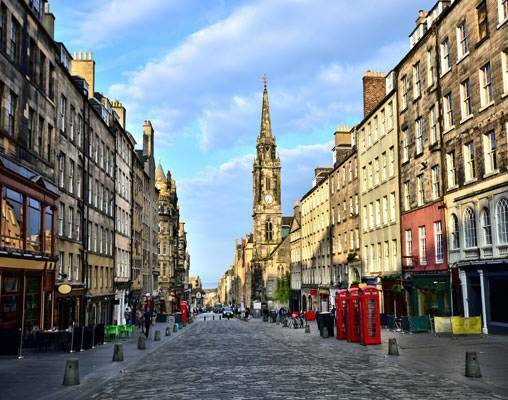 Edinburgh is a gorgeous grey city nestled in the rugged green mountains of the Scottish lowlands. For centuries, this city has attracted writers, poets, and artists, and it’s not hard to see why. The sight of Edinburgh Castle sitting high above the skyline or of the cobblestone streets after a rain could make a poet of anyone. Welcome to London, one of the world's most important business, financial, and cultural centers. Your Local Hosts will help you maximize your time. 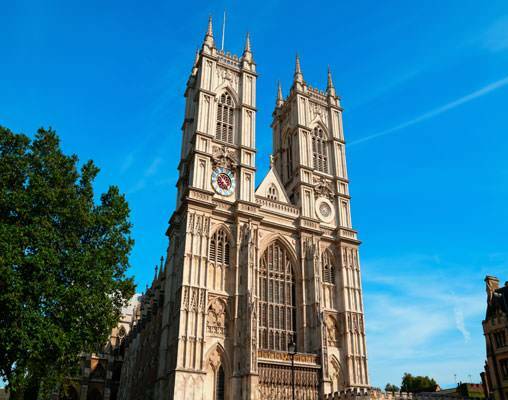 Morning guided sightseeing includes all of London's famous landmarks. Drive past the Houses of Parliament and Big Ben; Westminster Abbey, where Prince William and Catherine, the Duke and Duchess of Cambridge, were married; Whitehall's mounted horseguards; the Prime Minister's Downing Street; and Piccadilly Circus; and Buckingham Palace. Take photographs of the London Eye, the giant Ferris wheel situated on the river bank, and the Shard, the tallest building in Western Europe. Visit St. Paul's Cathedral. Sir Christopher Wren's masterpiece with its world-famous dome is an iconic feature of London's skyline, and the awe-inspiring interior holds fascinating stories about its history. Full day at leisure for you to enjoy the very best of London. 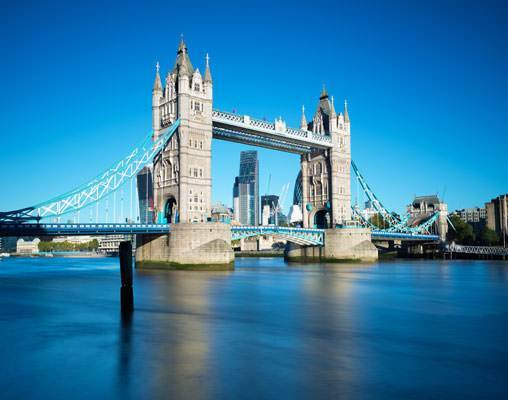 Your Local Hosts can offer recommendations, such as a river cruise to enjoy unique views across London from the Thames - Big Ben, the Tower of London and Tower Bridge, Tate Modern, the Shard, HMS Belfast, and much more. Travel to Edinburgh by Express Train (first-class). Morning guided sightseeing introduces you to the 200-year-old elegant “New Town” with its original neo-classical and Georgian period architecture. 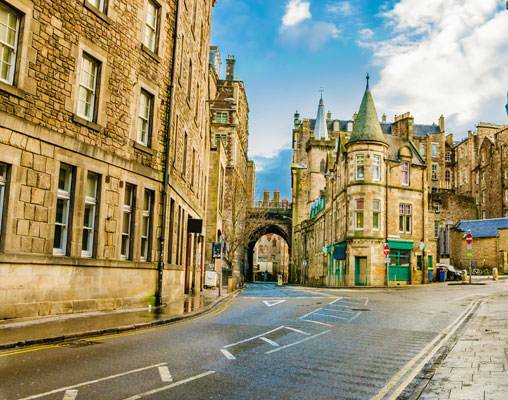 In the “Old Town,” follow the Royal Mile and visit Edinburgh Castle, perched on top of a rocky crag, the remnants of an extinct volcano. Tour the castle and admire the “Honours of Scotland,” the oldest set of crown jewels in the British Isles and first used for the coronation of Mary, Queen of Scots in 1543. Note: Edinburgh sightseeing might take place on Day 5. Your Local Host will have exciting suggestions for your day at leisure, like a visit to Holyrood Palace, the official residence of the British Monarch in Scotland. Located at the bottom of the Royal Mile, the palace has served as the principal residence of the Kings and Queens of Scots since the 16th century, and is a setting for state occasions and official entertaining. This modern and luxurious hotel is located in fashionable South Kensington, a relaxed environment in the heart of London. Situated next to Gloucester Road underground station, it is perfectly placed for visiting London’s greatest attractions including Hyde Park, the Royal Albert Hall, Kensington Palace, the Natural History Museum and the Victoria and Albert Museum. The hotel offers a variety of dining options such as Bombay Brasserie and Bugis Street Brasserie for Indian and Oriental cuisine, South West 7 for breakfast and Humphrey’s Bar for light meals and drinks. 24-hour room service, concierge service, and a fitness room with cardiovascular equipment and weights is also available. A stunning, contemporary landmark on the historic Royal Mile in the heart of the Scottish capital, offering iconic design characterised by the rich Scottish heritage. The award-winning signature restaurant Cucina serves dishes inspired by classic Italian cooking, using the finest, freshest ingredients, simply prepared; or taste creative cocktails in the glamorous Epicurean Bar mixes creative cocktails using quality spirits and unique glassware. 27th April 2019 $1,577 Please call for availability. 4th May 2019 $1,665 Please call for availability. Enter your details below if you would like to be notified when 2020 dates and prices are available for London & Edinburgh.